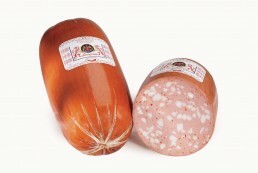 We select only the best meat cuts of leg, shoulder and belly to scrupulously follow ancient Emilian recipes that foresee using exclusively natural flavors. 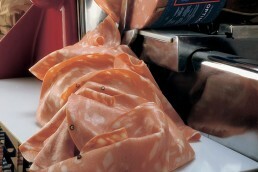 We use traditional masonry dry air ovens to cook our mortadella: prolonged and delicate cooking creates products with unique taste, inviting aroma and irresistible velvet-smooth consistency. 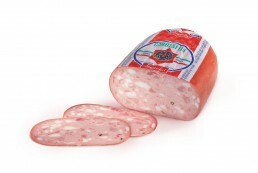 Made exclusively with meat from pigs BORN, BRED and SLAUGHTERED in Italy. 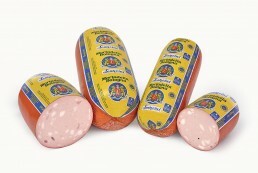 and only with natural flavors. 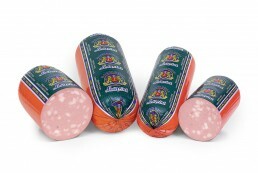 Produced by scrupulously following the production specifications of the Bologna Mortadella Consortium. 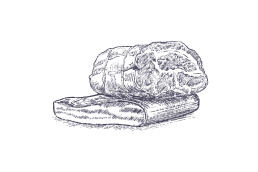 Gluten free, no milk derivatives, no added glutamate, no added polyphosphates and only with natural flavors. 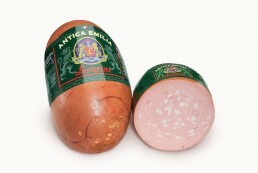 Produced following ancient Emilian recipes. 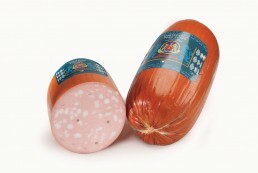 Gluten free, no added glutamate, no added polyphosphates and only with natural flavors. 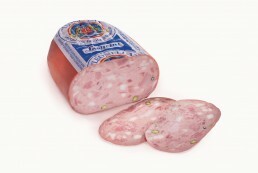 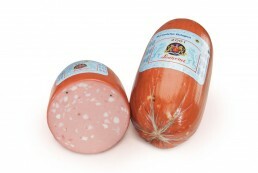 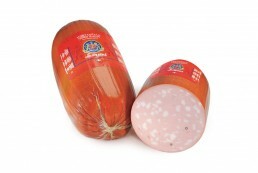 Mortadella closely tied to our traditions, stuffed with fine ham meat, available in the characteristic pressed format. 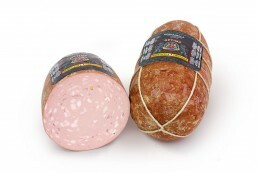 Gluten free, no added glutamate, no added polyphosphates, only with natural flavors and with pistachio. 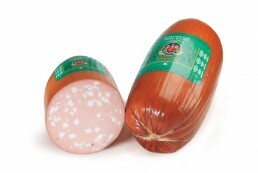 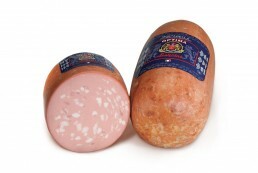 Mortadella closely tied to our traditions, stuffed with ham meat pork, available in the characteristic pressed format. 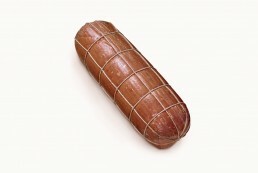 Totally cased and hand tied, ranging from 40 to 120 kg in size. 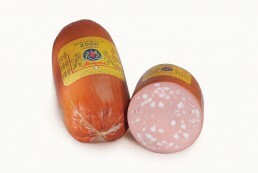 MB Antica Emilia, MB 2001, Optima Italia, Optima and 2000 mortadellas available on order with or without pistachio.